This cozy, long cardigan is fitted at the top but has a generous and ample bottom part - the stripes and texture are placed in a way to flatter every body shape while fun pockets add to it's playfulness. Die Anleitung ist auch auf Deutsch erhältlich. The seamless top-down construction allows a tailored fit at the shoulders, neck and arms, so as to keep an elegant touch to this otherwise cozy and ample garment. 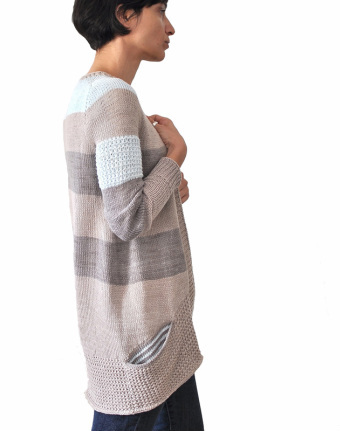 The cardigan features a longer back with a softly rounded, large hem in a simple but effective slip-stitch pattern, a play with colour and texture and fun, striped pocket linings. In this sample the yarn used is 100% cotton, but it can easily be substituted with any DK weight yarn that achieves a similar effect in the textured parts of the sleeves and hem. 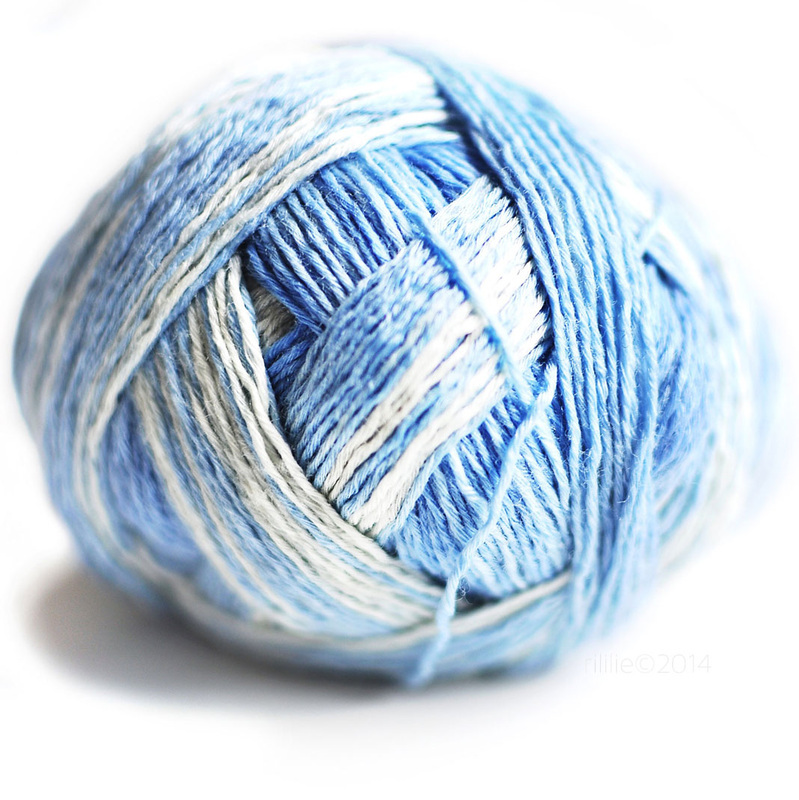 ...or any other DK weight yarn (at 131 yards or 120m/50gr ) which gives you the proper gauge. on 4mm/ US 6 needles, after blocking. (at least 80 cm/31" long). colour and 2 of another), stitch holders or smooth scrap yarn. Optional: 2mm crochet hook for pocket finishing. The combination yoke version features a different take on yoke construction, combining various methods to achieve a soft sloping shoulder line. The easier yoke construction of the raglan version is a hybrid between a saddle shoulder and a raglan sleeve. Each version of the pattern has charted and written instructions. As a visual aid there is a “quick-overview” of the whole yoke in chart-form to print out, which helps to keep track of the instructions that happen on each row according to your size. The pattern is available in English and German language in the form of digital PDF files. ​You can buy it via pay-pal for 8,70 Euros and download it immediately!